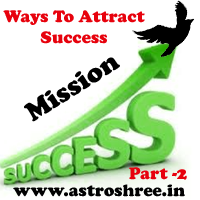 In mission success part 1 we have already read about what is real success, how to attract real success, In this article we are moving further to know some more points related to attract success in life. If you have not read the part 1 then do read it first for clear understanding. This is a very important part of your personality, without courage our creativity, network, money is useless. Because to do anything we need courage.For example if any one is a good singer but if he or she doesn't have courage to show performance in stage then no one will know and person will be deprived of success. Courage is the most important characteristics of personality to live life successfully. We have often found that we naturally attracted towards the smile of any child, in the same way we keep a smile in our face then no doubt it is the open invitation for all to connect with you. It will help to develop a good network to attract success in life. It must be kept in mind that past and future are not in our hand so it is useless to think on these topics. In-spite of this enjoy the present which will definitely make future good. Dressing is one of the important part of personality, a good dressing can get attention of people easily. Wear dress as per the profession to enhance the business. It will open the way to success. Some products like cigarette, guthka, paan masala, tambakhu, alcohol, wine etc are very dangerous for health, they give happiness for a particular period but body become addict of it and weakness increases continuously. There are some habits which we ignore but they are observed by public and put bad impression. These are like itching anywhere in public place, rubbing fingers or hand while talking to anyone, moving key ring while talking to anyone, rounding shoulder again and again, playing with table things while entering in anyone's home etc. These type of habits are very irritating and put bad impressions on others. So give-up these type of habits to live a successful life. Very often we deny to do any work because of no mood. But remember "opportunity don't see time". So don't be moody if you want to be successful. If you find that someone is doing good work, new work then do motivate, this habit work definitely and we also enter in positive environment. Motivation is a good medicine for every one to attract success. There is no existence of past and tomorrow never come so do the best possible thing now. It will enhance success in life. Don't hesitate to accept your mistakes. Don't realise anyone mistake publicly. Don't leave any moment to admire anyone. Chew a cardamom while going out from home. 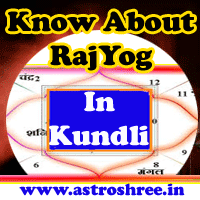 Read Bhagwad geeta daily for sometime. Remember Success is a life long process, don't stop, keep moving.